A wonderful gated and private compound in the heart of Tesuque Village, a stone&apos;s throw from the newly reopened El Nido Restaurant. 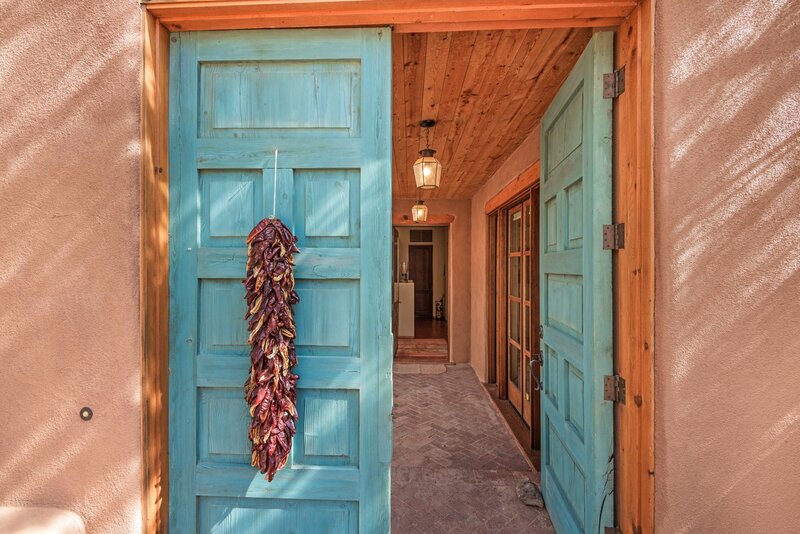 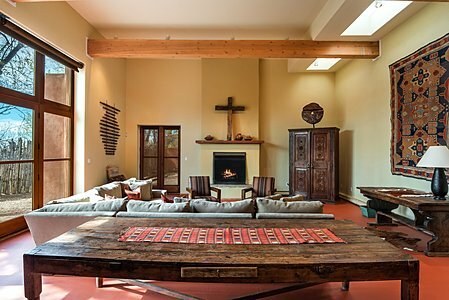 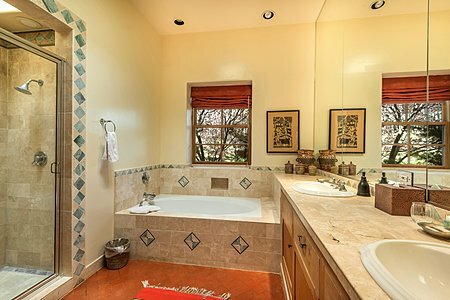 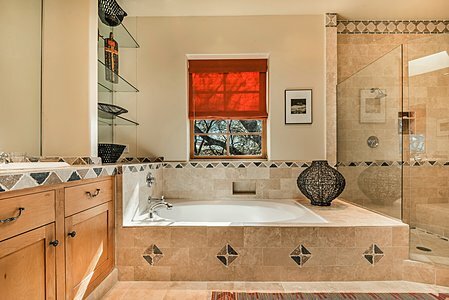 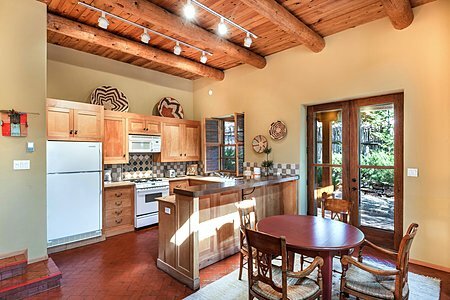 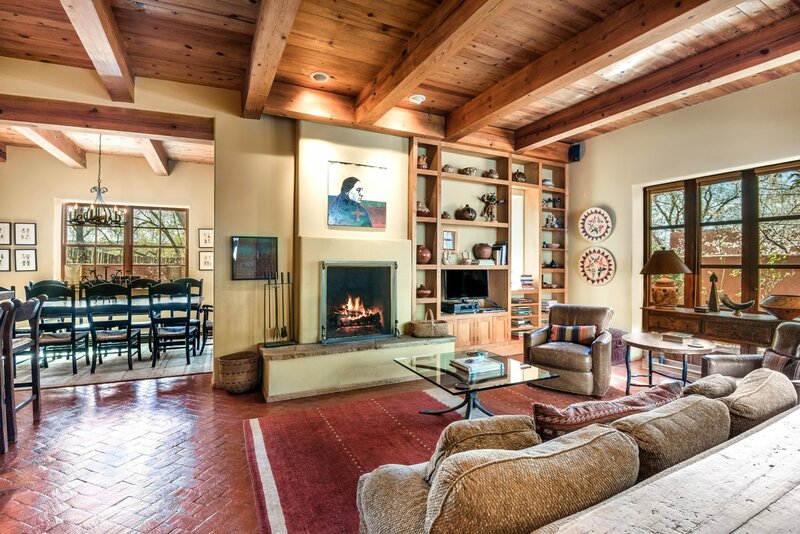 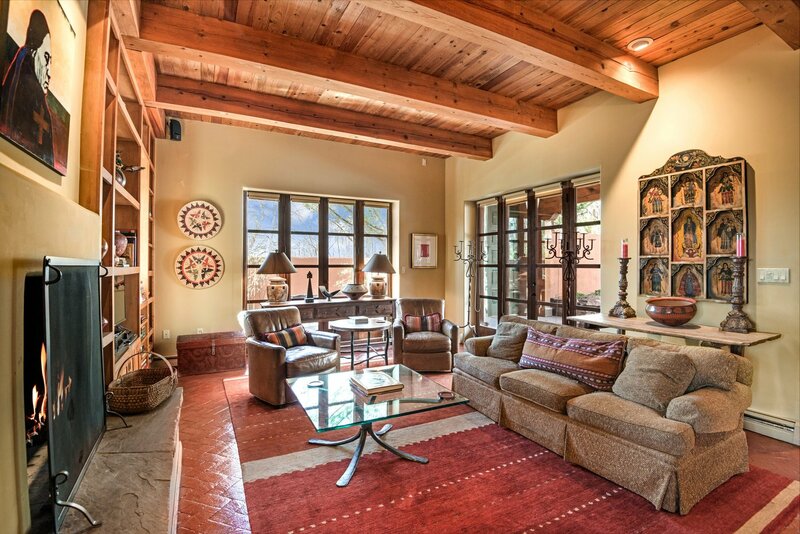 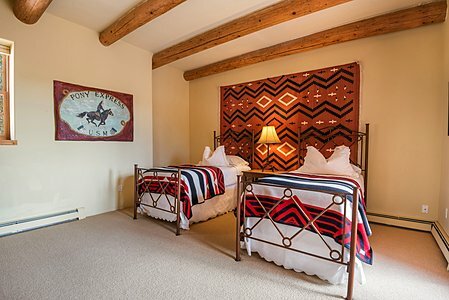 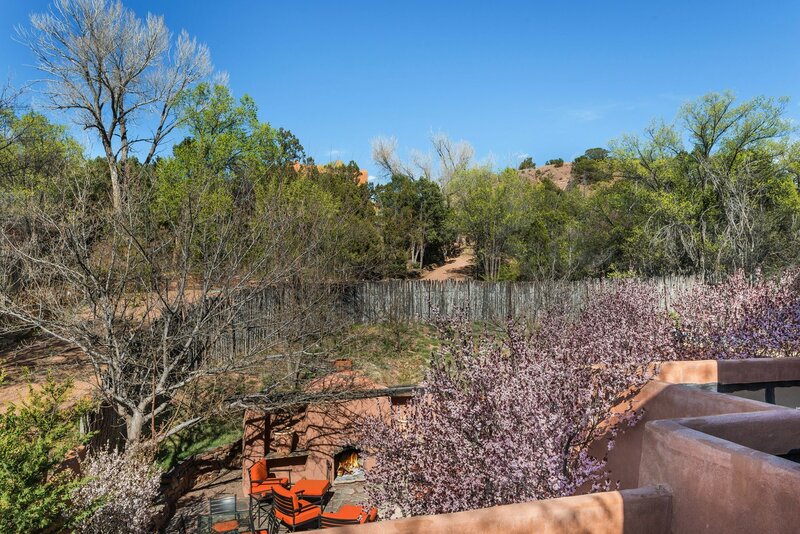 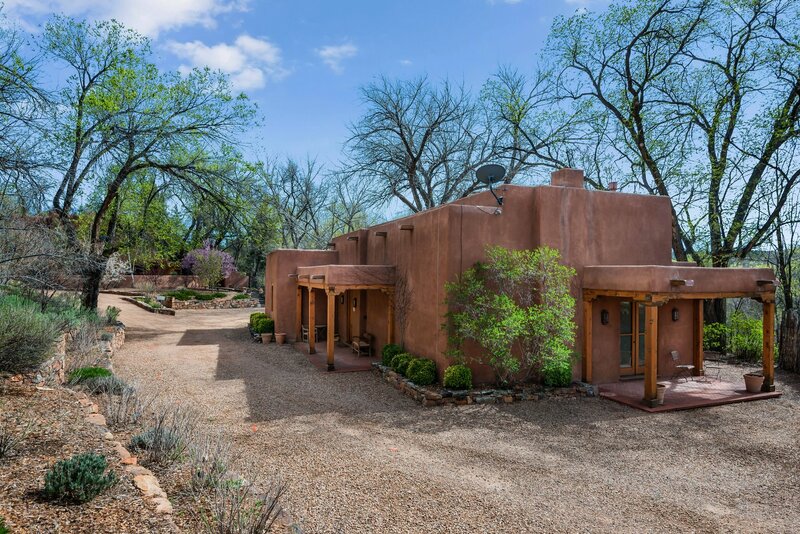 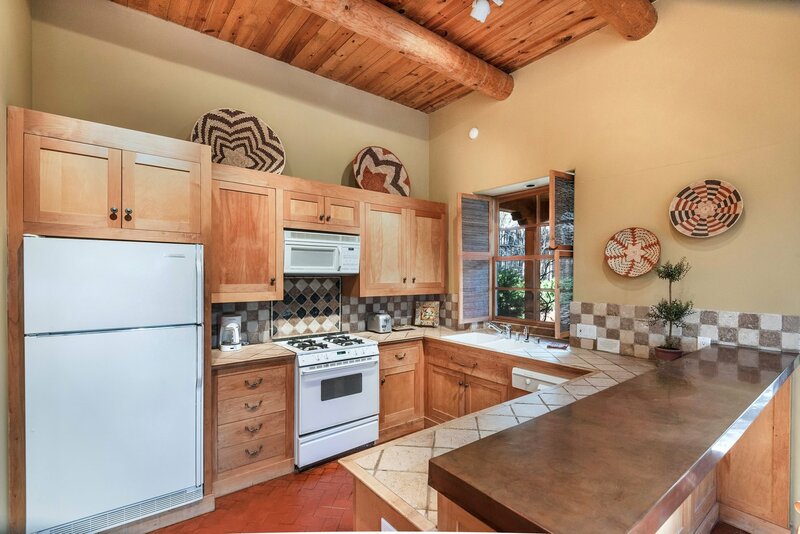 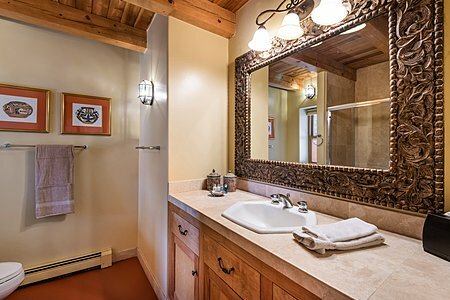 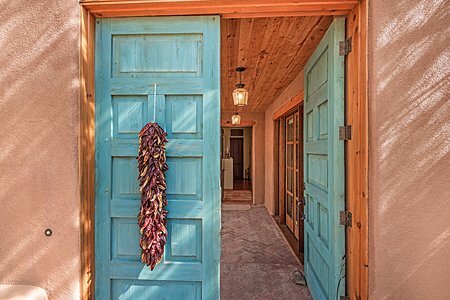 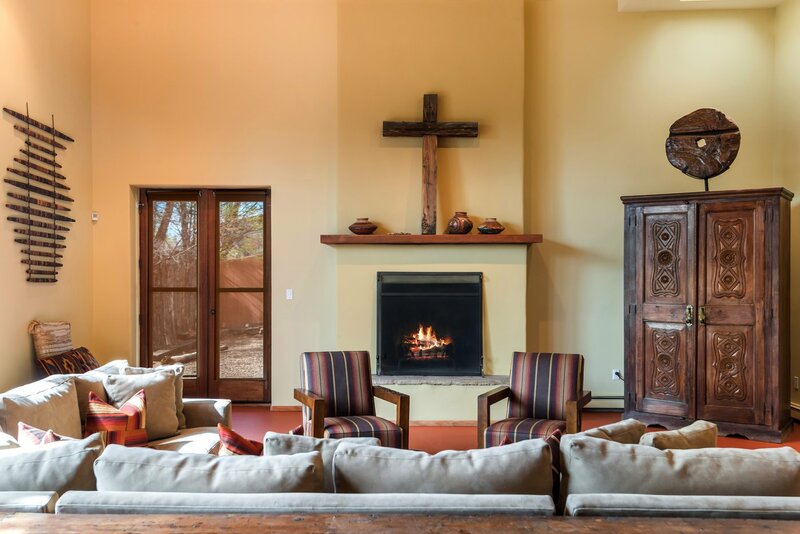 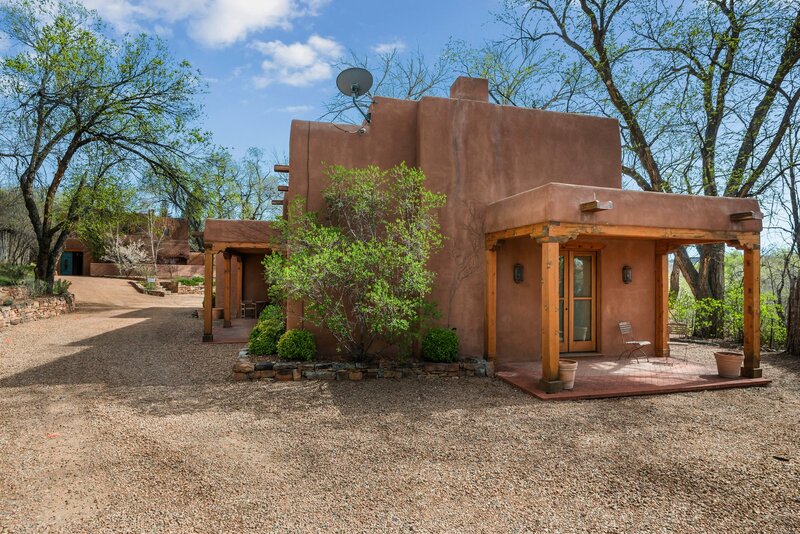 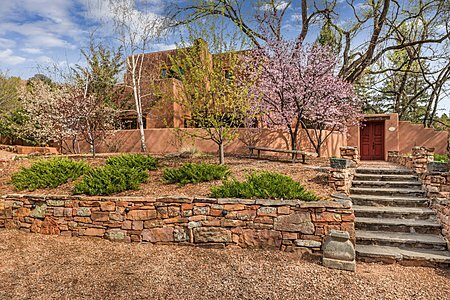 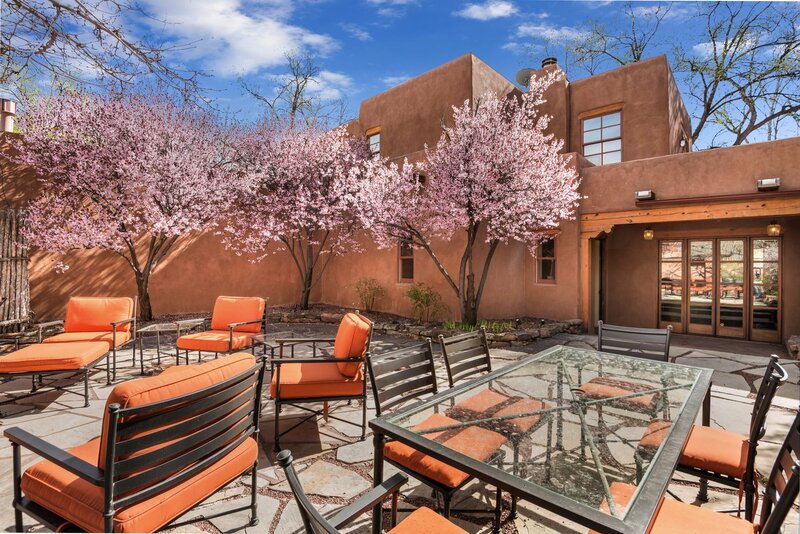 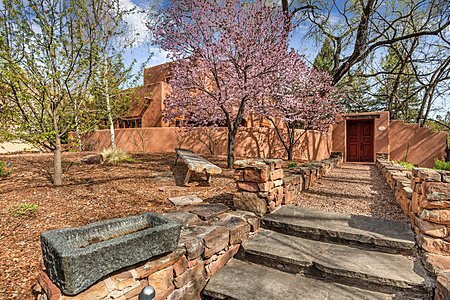 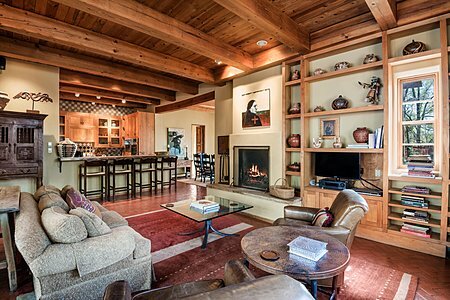 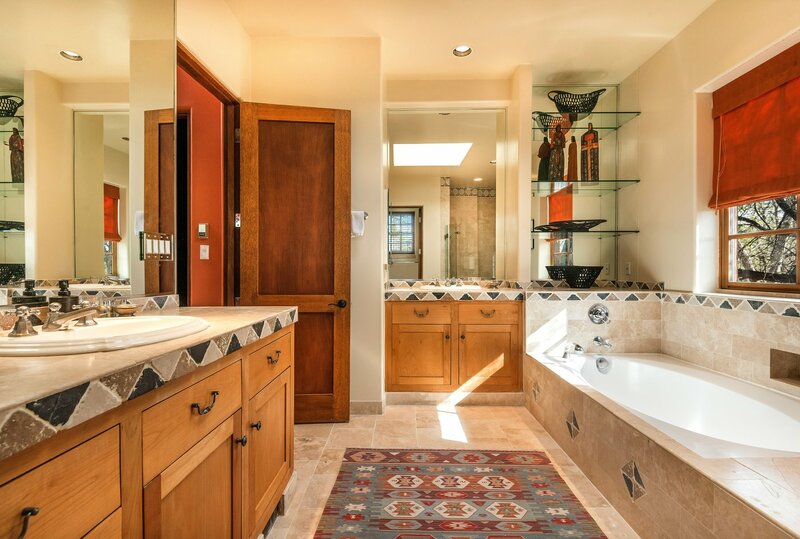 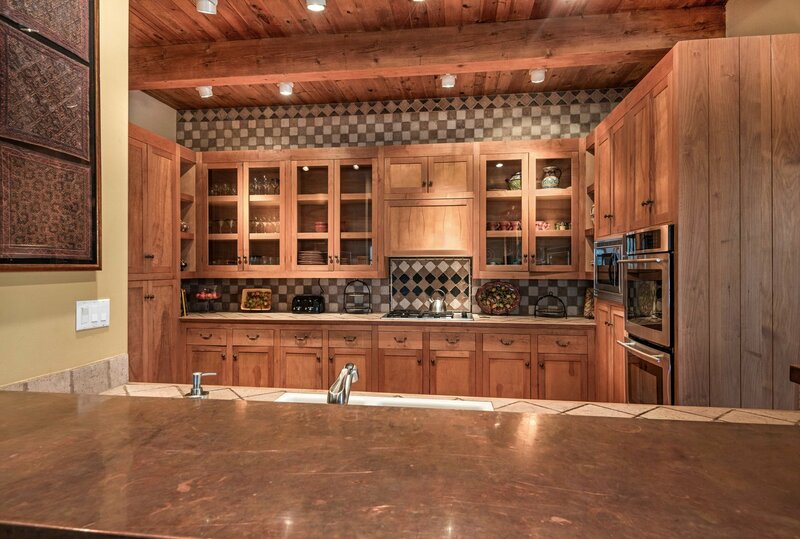 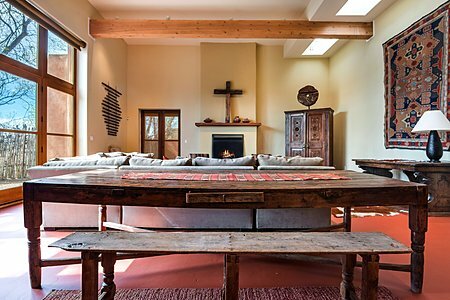 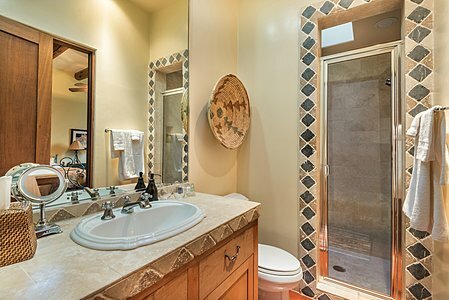 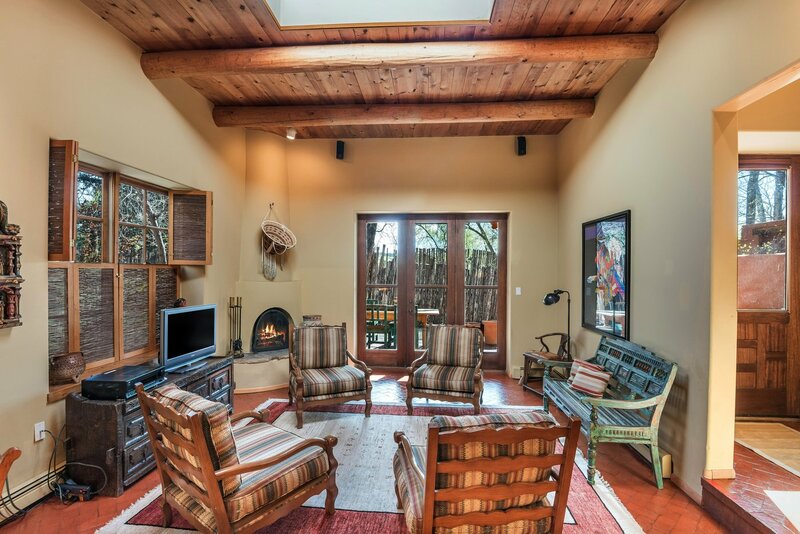 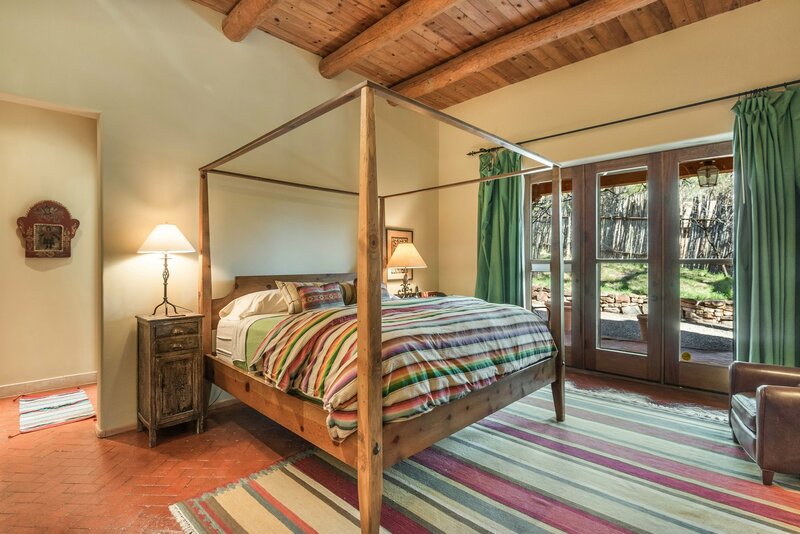 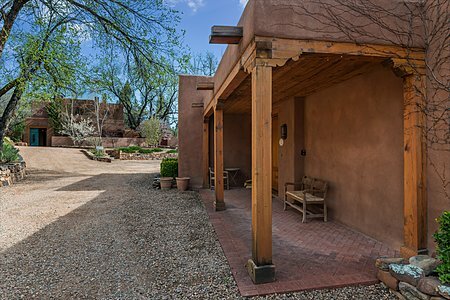 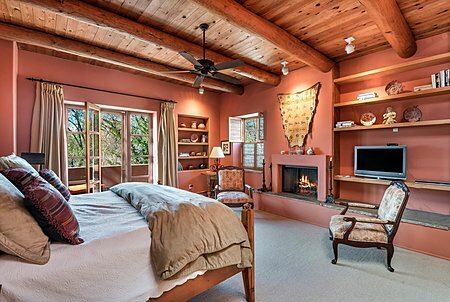 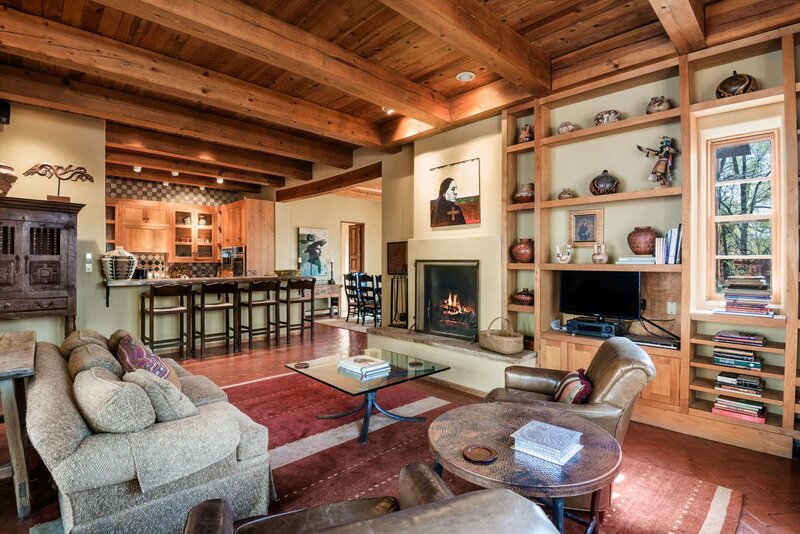 This one-of-a-kind property consists of a 4,163 square foot, 4 bedroom main house and a 1,726 square foot, 1 bedroom casita. 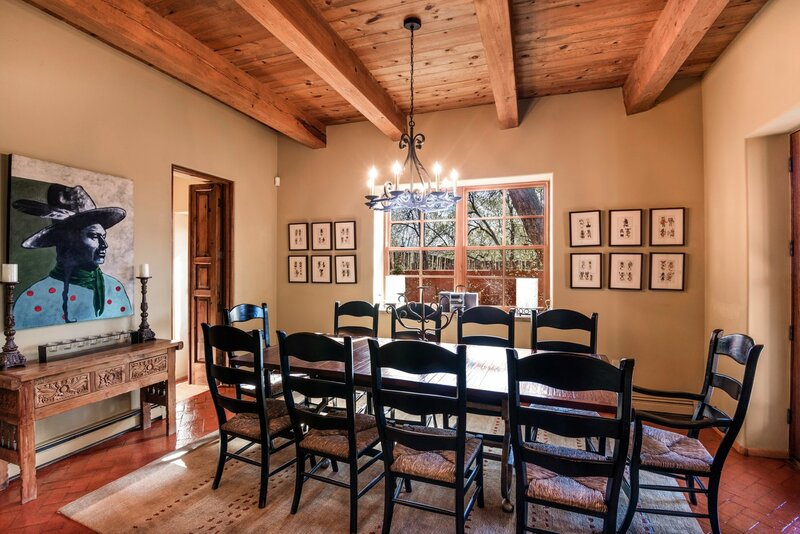 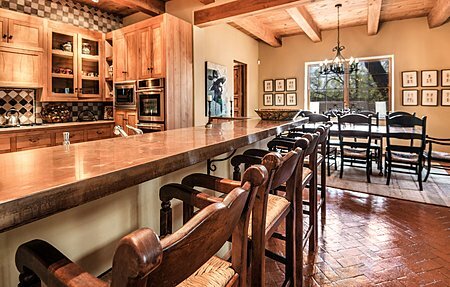 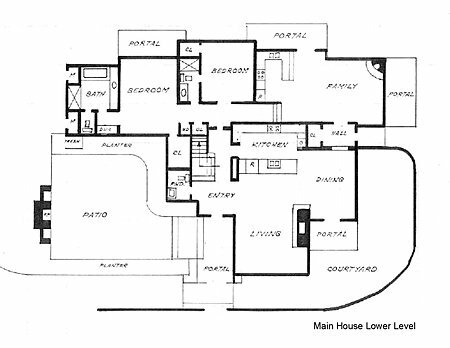 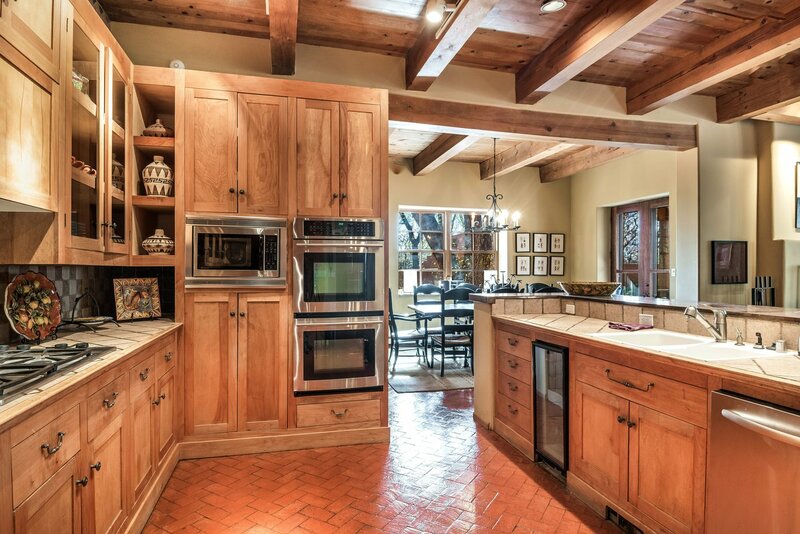 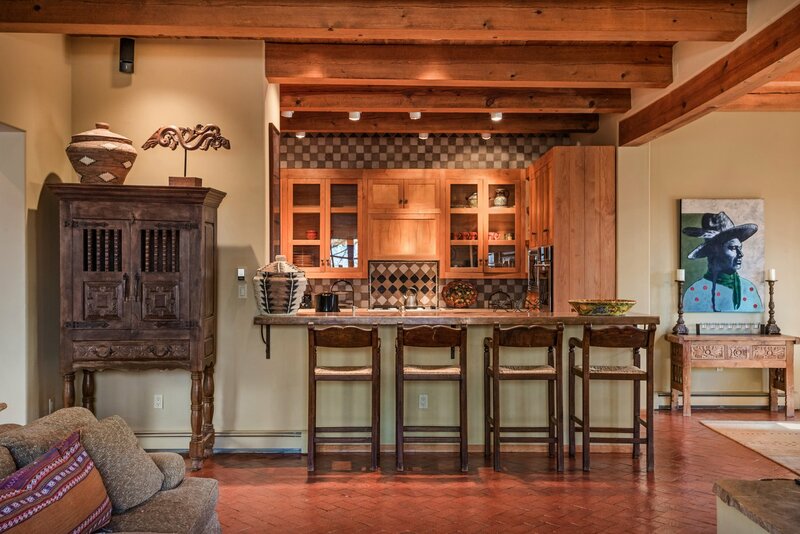 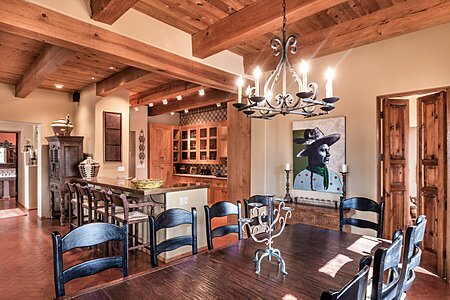 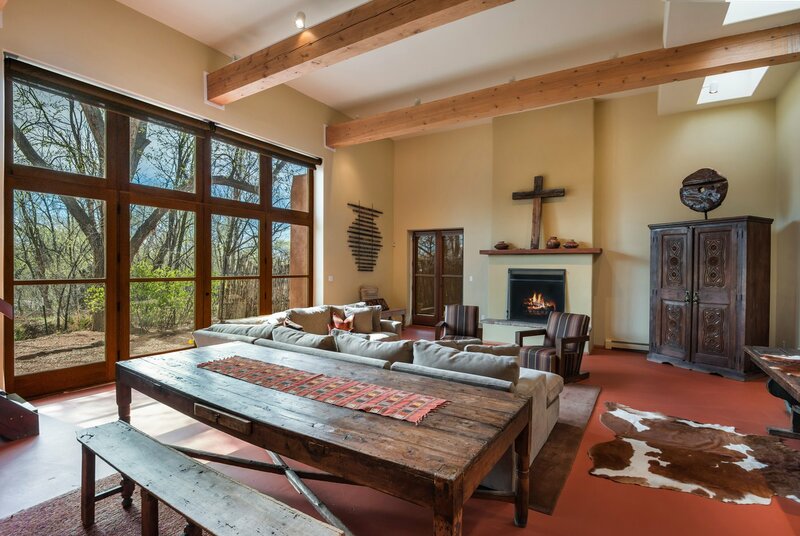 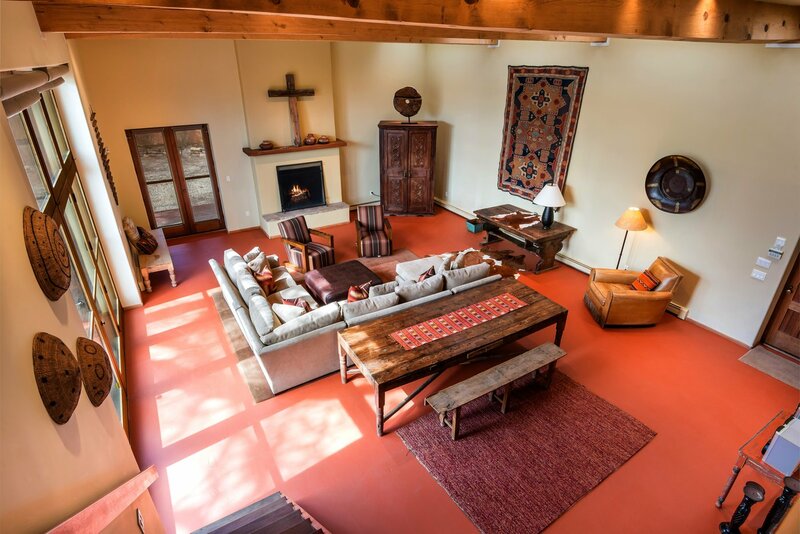 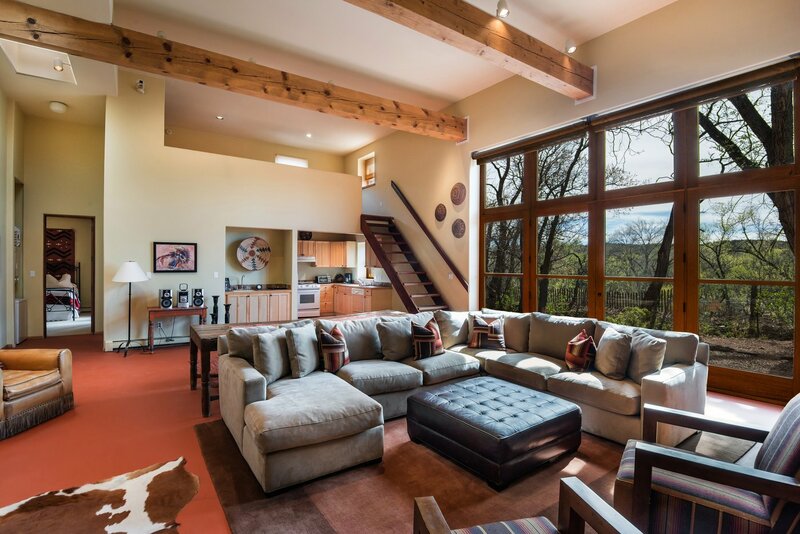 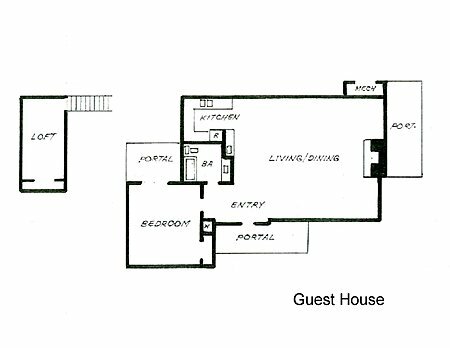 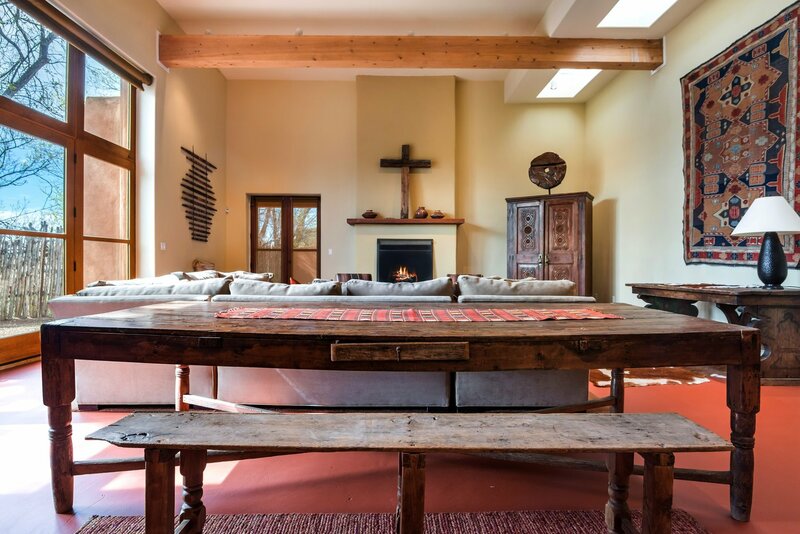 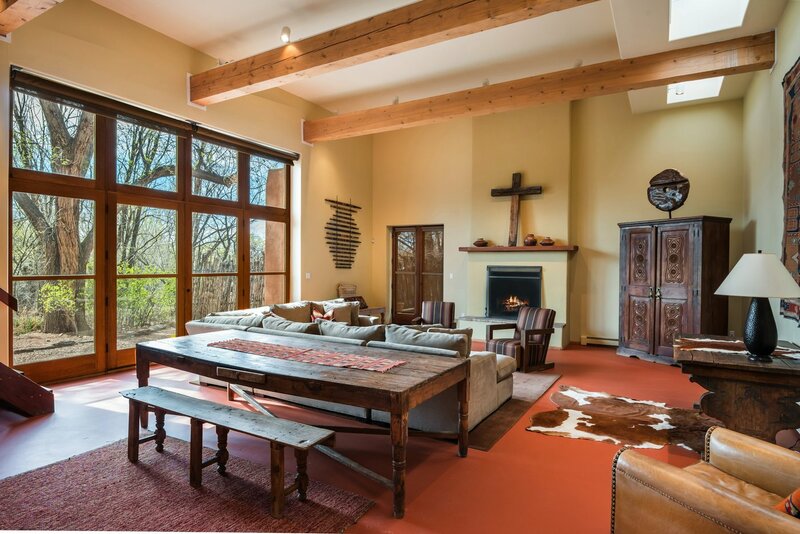 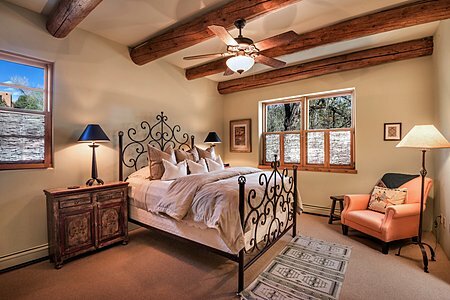 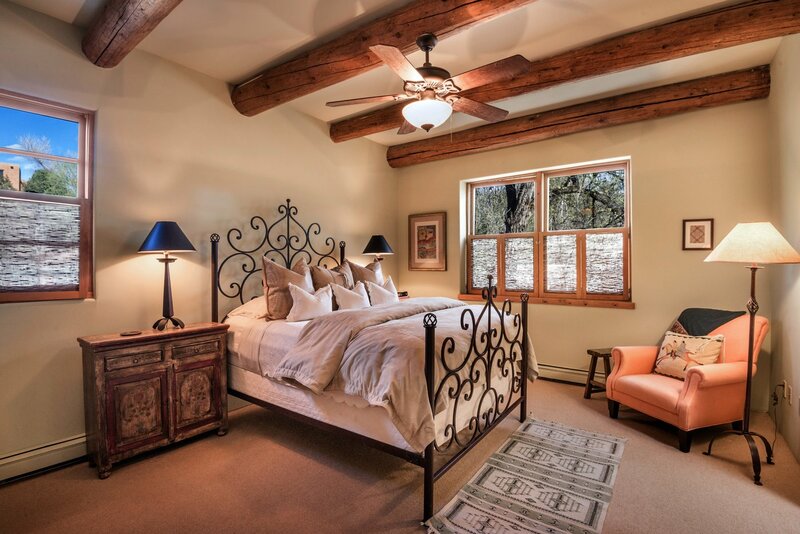 The main house can be separated into two 2 bedroom residences, each with a full kitchen and wonderful entertaining spaces with soaring ceilings and wood burning fireplaces. 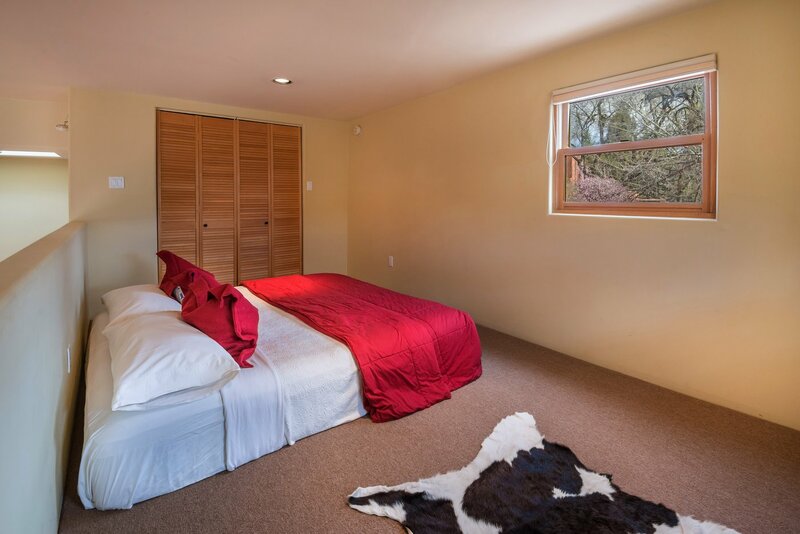 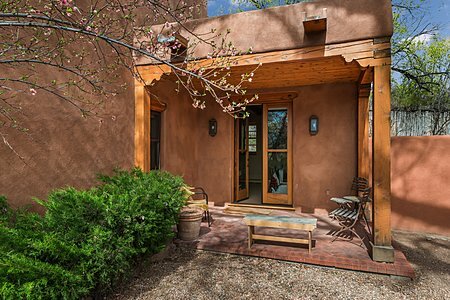 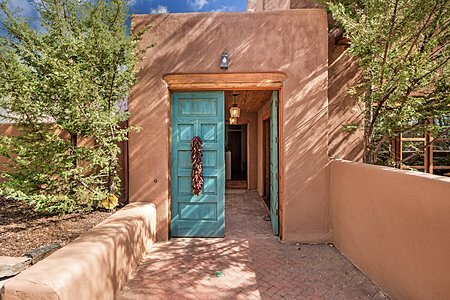 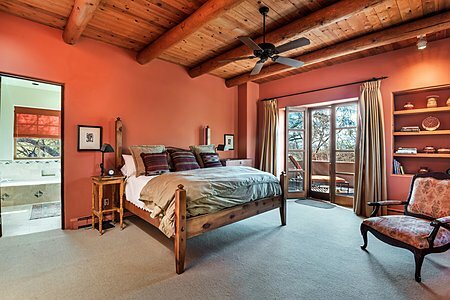 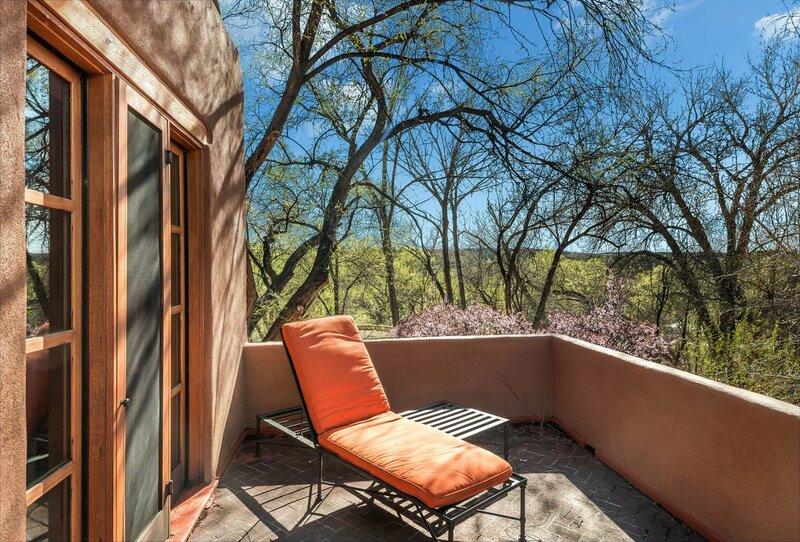 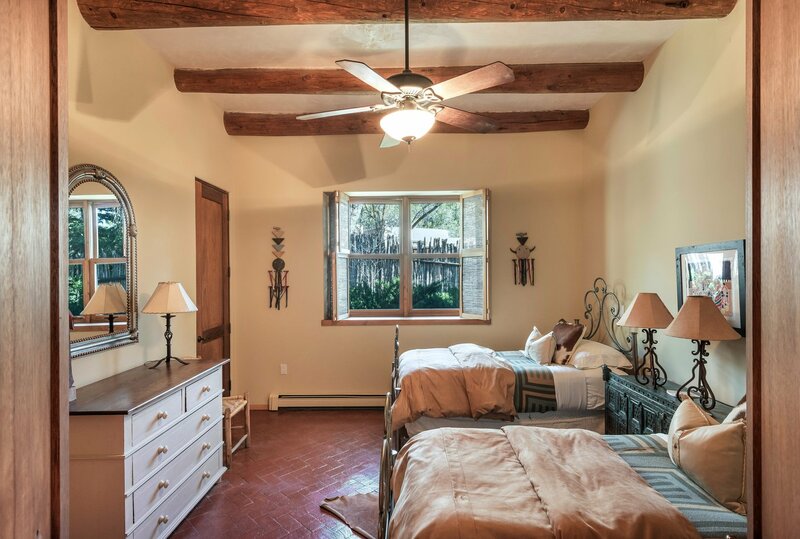 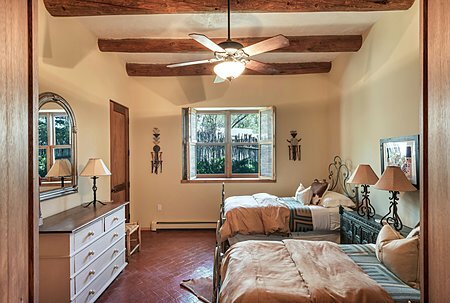 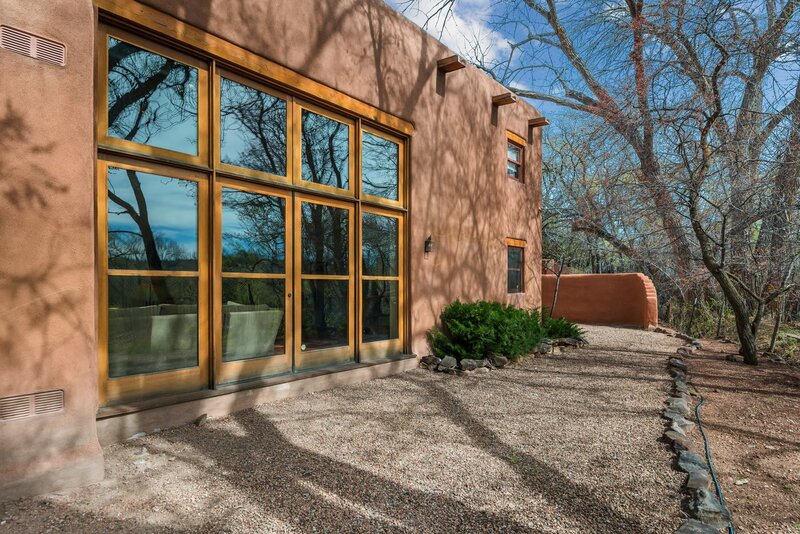 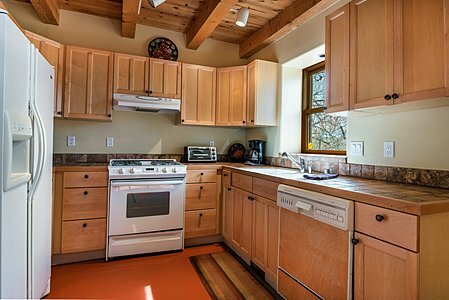 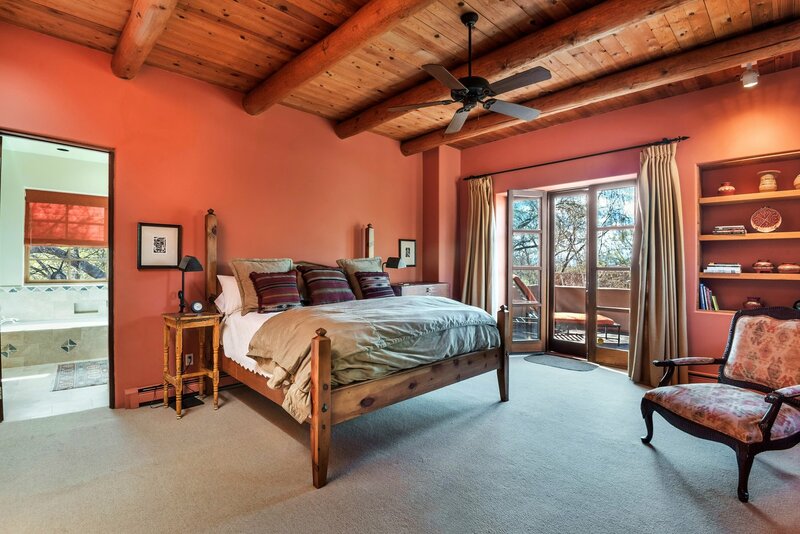 The casita, a former art studio, can be used as either a 1 bedroom plus loft residence, or as magnificent artist's studio. Enjoy multiple portals in a lush setting surrounded by towering cottonwoods. 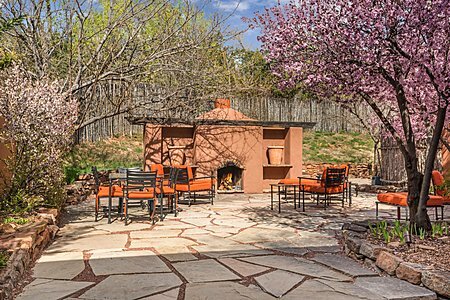 The largest of the 4 private outdoor patios features a stacked stone wood burning fireplace. 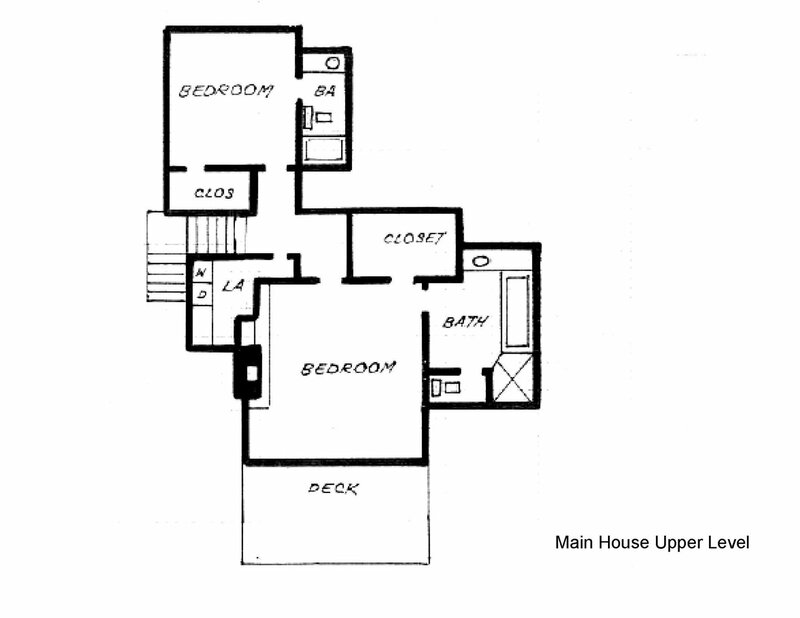 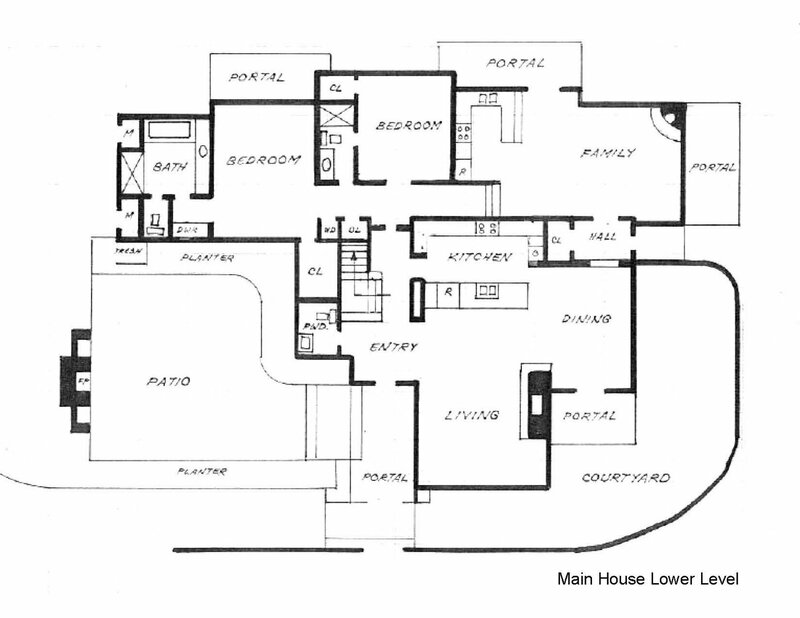 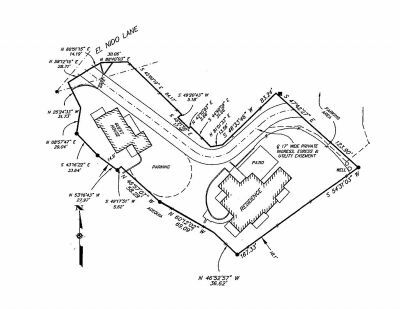 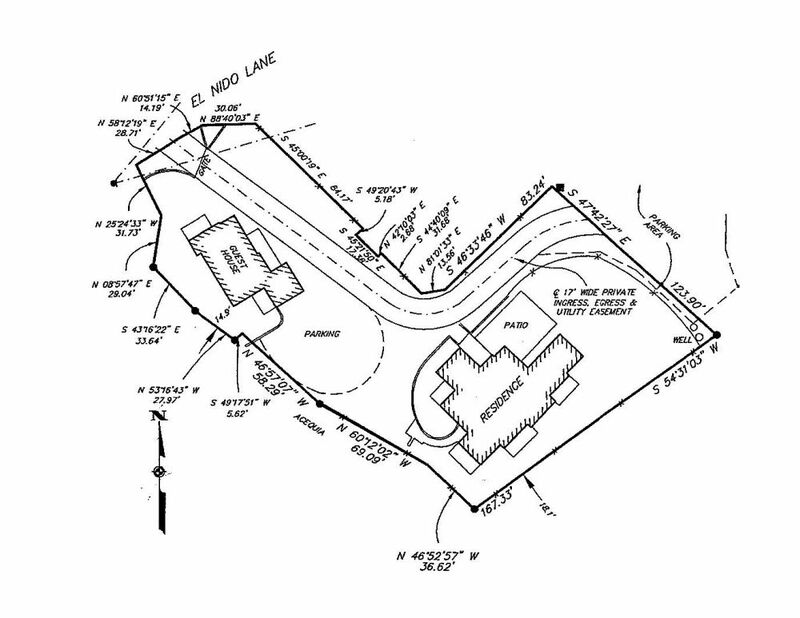 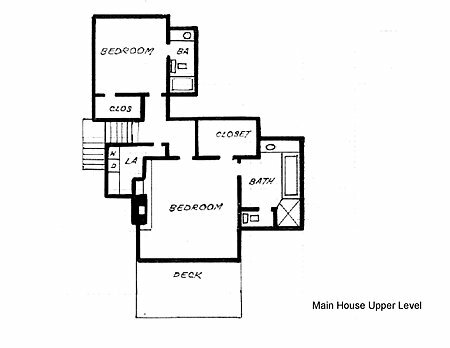 The property is a perfect second residence, as it can be rented while not being enjoyed by the owner. 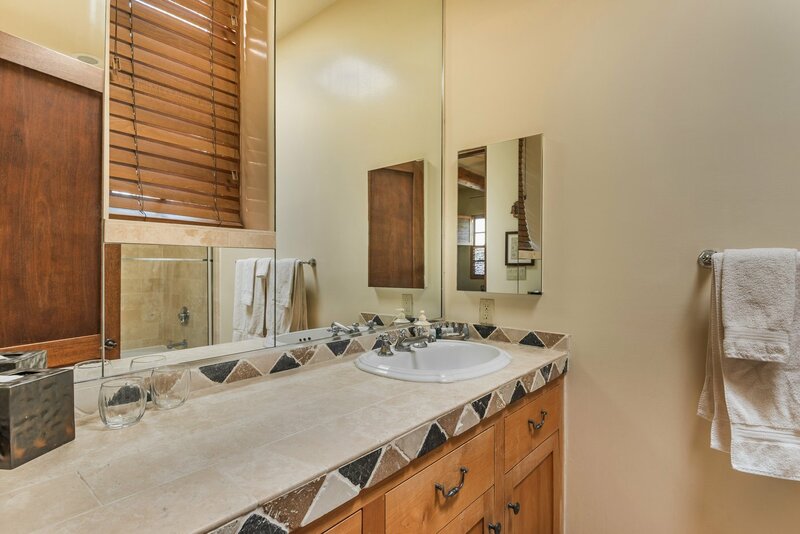 The property has a very strong rental history. 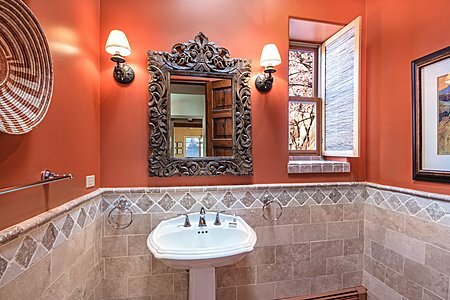 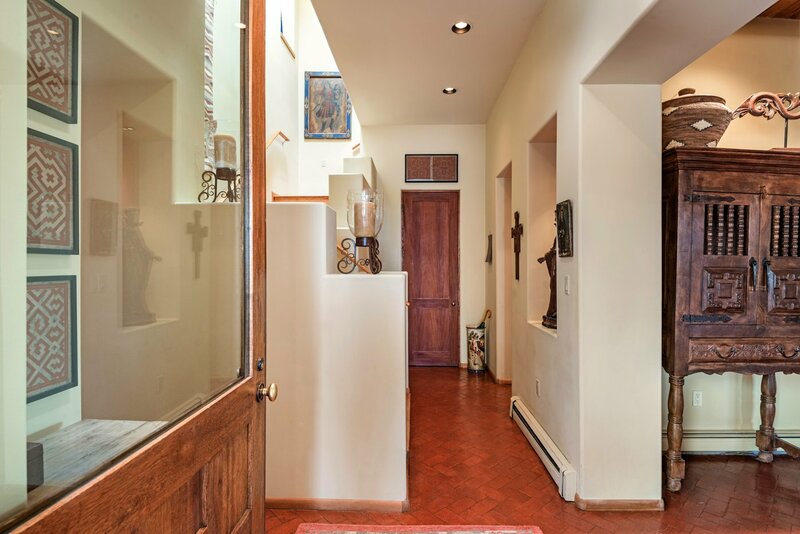 All furnishings, except for a few pieces of art, are included in the price, making it extremely easy for the next owner to enjoy this special property immediately.